Hawaii Land Use Law and Policy: Environmental Review Without Secondary Impacts Analysis—Is Hawaii About to Throw Out the Baby with the Bathwater? Environmental Review Without Secondary Impacts Analysis—Is Hawaii About to Throw Out the Baby with the Bathwater? In an odd twist to the Hawaii Superferry drama, it has been suggested that in order to save the Hawaii Superferry, secondary impact analysis should be removed from Hawaii’s environmental review process. See Momentum grows at Capitol to bring Superferry back to Hawaii and Former State Attorney General Has Plan to Save The Superferry. What would this mean for Hawaii and what’s at stake? The Hawaii Environmental Policy Act ("HEPA") in a Nutshell. Before we can make sense of secondary impacts we must first understand the HEPA process. HEPA establishes a system of environmental review that ensures environmental concerns are given appropriate consideration in decision making along with economic and technical considerations. HRS § 343-1. HEPA will potentially apply whenever an agency or applicant (hereinafter, “applicant”) initiates an action that requires a discretionary consent or approval. HRS § 343-2. An applicant must comply with HEPA if its proposed action is one of the triggers enumerated under HRS §343-5. The most common trigger is the proposed “use of state or county lands” (e.g., modification to a state or county highway as part of a residential project). EIS. If the permitting authority finds that based on the EA “the proposed action may have a significant effect on the environment” then the applicant must prepare an EIS. Upon completion, the EIS must be accepted by the agency issuing the permit. Embedded in the process are required periods for public notice, public comment, and specific limitations on when a person can sue for perceived deficiencies in the process. See HRS §§ 343-7, 343-5. [T]he sum of effects on the quality of the environment, including actions that irrevocably commit a natural resource, curtail the range of beneficial uses of the environment, are contrary to the State's environmental policies or long-term environmental goals as established by law, or adversely affect the economic welfare, social welfare, or cultural practices of the community and State. HRS § 343-2. Through HEPA, the legislature directed the Environmental Council to establish rules that, among other things, establish procedures to exempt actions that have minimal or no significant effects on the environment; prescribe the contents of an EA; prescribe the procedure for processing and accepting EIS documents; and establish criteria to determine when an EIS is acceptable. HRS § 343-6. These EIS Rules are codified under chapter 200 of the Hawaii Administrative Rules (“HAR”). "Secondary impact" or "secondary effect" or "indirect impact" or "indirect effect" means effects which are caused by the action and are later in time or farther removed in distance, but are still reasonably foreseeable. Indirect effects may include growth inducing effects and other effects related to induced changes in the pattern of land use, population density or growth rate, and related effects on air and water and other natural systems, including ecosystems. HAR § 11-200-2. “Cumulative impact” means the impact on the environment which results from the incremental impact of the action when added to other past, present, and reasonably foreseeable future actions regardless of what agency or person undertakes such other actions. Cumulative impacts can result from individually minor but collectively significant actions taking place over a period of time. HAR § 11-200-2. Secondary and cumulative impact analysis occurs in three significant steps under the EIS Rules: (1) when applying for an exemption, (2) when preparing an EA, and (3) when preparing an EIS. If this analysis is missing or lacking, the permit granting authority must deny the requisite request by the applicant. What do secondary impacts have to do with the Hawaii Superferry? The Hawaii Superferry applied for an exemption from the HEPA process for its high capacity inter-island ferry system from the State Department of Transportation (“SDOT”). SDOT granted the exemption despite a February 2007 opinion issued by the Environmental Council stating that “the state failed to account for the secondary and cumulative impacts of Hawaii Superferry when it ruled that the project did not need an environmental impact statement.” See Marginalized. In August of 2007, the state supreme court similarly held that the exemption was invalid, because SDOT did not consider whether its facilitation of the Superferry would probably have a minimal or no significant impact, both primary (physical harbor improvements) and secondary (impacts resulting from Superferry use of harbor improvements), on the environment in its exemption determination. 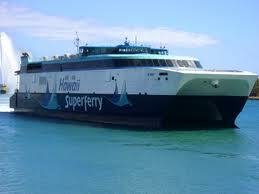 See Hawaii Supreme Court Publishes Superferry Opinion. The voided exemption and the statutory requirement that the HEPA process be completed prior to operations ultimately led to the failure of the Superferry, which precipitated its ceasing operations and laying off its employees. What’s at stake if the legislature bars the analysis of secondary impacts in the HEPA process? In order to remove secondary impact analysis from HEPA, the legislature would need to narrowly define “significant impact” to include only primary impacts and not include cumulative or secondary impacts. This would make the EIS Rules inconsistent with HEPA, forcing the Environmental Council to amend its rules. For landowners, entrepreneurs, investors, and others seeking approval of discretionary permits unpredictable and overly complex land use laws exacerbate costs. Whether the scope of a HEPA document adequately addresses secondary impact analysis has been the source of litigation, confusion, and consternation, prompting the Office of Environmental Council (“OEQC”) to issue guidance in early 2008. See The OEQC Offers Advice on Secondary Impacts. As a consequence, actions that involve the construction of public facilities or structures (e.g., highways, airports, sewer systems, water resource projects, etc.) may well stimulate or induce secondary effects so that the scope of the HEPA analysis includes taking a hard look not only at an improvement on a state/county intersection, but also the entire project—imagine a 200-unit residential project that needs to make improvements to a state road for access to the project. A full HEPA EIS can take years and hundreds of thousands of dollars in consultants’ costs and fees. In addition, an EIS document is usually thousands of pages and must be reproduced for public distribution. Anecdotally, practitioners in the business of preparing EIS documents have seen them grow significantly in scope and size since HEPA was first passed in 1974. See OEQC’s Document Site for examples. Even when HEPA documents are prepared, the broad, unconstrained analysis required by the EIS Rules opens the door to litigation. Without guidance, a secondary impact analysis can take on the problem of the butterfly effect where one might argue that a project in Hilo has an effect on Niihau. There is not bright line, or even grey line, where a secondary and cumulative analysis should end. For environmentalists, this would narrow the scope of their challenges to significant effects caused directly by the proposed project and not indirect or all matter of foreseeable effects. For example, in the case of the Superferry, the DOT could grant the exemption based on a significant impact analysis that looks only at the direct site of impact and not other impacts that are “incident to and a consequence of the primary impact.” Sierra Club v. SDOT. Arguably, Superferry would not be required to analyze its impact to marine wildlife, traffic, and other primary environmental impacts. For the public, they would be unable to participate in the HEPA process if exemptions are more freely granted. However, existing state land use procedures mitigates this. First, an exemption is only granted if it is one of the enumerated exemptions under HAR § 11-200-8 and the proposed action must have a minimal or no significant effect on the environment. HRS § 343-6. The bar is still high for HEPA exemptions. Second, persons have an opportunity to sue under HRS § 343-7. Third, the EIS law applies to discretionary approvals. These approvals are generally subject to chapter 91, HRS public hearings. The decision making body is required to hear testimony from the public and to allow intervention of applicable persons in the permitting process. So, even though a project might be exempt from HEPA, the public still has an opportunity to voice its concerns to decision makers. The middle road. Throwing out secondary and cumulative analysis might be premature without further study. Other state environmental policy acts (“SEPA”) and the National Environmental Policy Act of 1969 (“NEPA”) require secondary and cumulative analysis in their environmental documents. Hawaii should strive to keep HEPA as consistent with NEPA as possible to facilitate coordination for projects that require both HEPA and NEPA documents. For the most part, our courts have deferred to NEPA decisions in federal courts as guidance for interpreting HEPA. No matter what side of the issue you are on, those who work with HEPA could agree that we need clear HEPA guidance either from the Environmental Council or the legislature so that our courts are comfortable with relying on agency decisions, as it should. This whole post is nicely written. Much sharper than what Lilly, Hanabusa, and Hemmings have said in the media. I understand there is a department at U.H. studying the EIS law and who's findings weren't going to be completed until after this Session is over? Re: "Throwing out secondary and cumulative analysis might be premature without further study. Other state environmental policy acts (“SEPA”) and the National Environmental Policy Act of 1969 (“NEPA”) require secondary and cumulative analysis in their environmental documents. Hawaii should strive to keep HEPA as consistent with NEPA as possible to facilitate coordination for projects that require both HEPA and NEPA documents." Great post! Thanks for providing the background information. Throwing out secondary and cumulative analysis would make Hawaii’s state environmental policy inconsistent with NEPA. NEPA’s secondary and cumulative analysis requirements were not meant to be overly burdensome though I agree that all NEPA documents have grown significantly in scope and size. TRB has provided guidance for preparing indirect and cumulative analyses. One example of TRB guidance off the top of my head is http://www.trb.org/NotesDocs/25-25(22)_FR.pdf. Perhaps TRB’s guidance could be used as a basis for writing ‘streamlined’ HEPA guidance for secondary impacts if Hawaii has not provided secondary impact guidance already?